New DELFINA padded crown dressage bridle with soft padded crank cavesson with or without flash and padded single comfort crown. Made of beautiful premium quality soft leather and stainless steel buckles. Nice buckle end bit attachment. 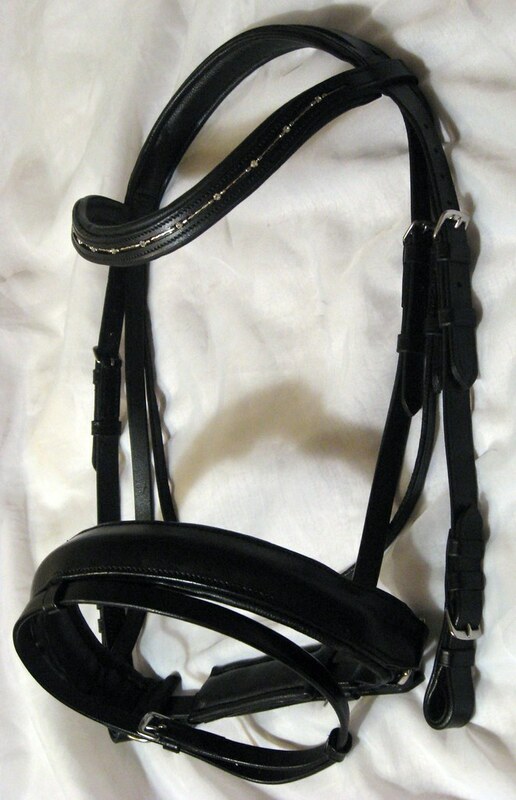 You can mix and match pony, cob, full and oversize bridle parts to come up with a perfect fit! Choose your own browband and rein combination!